Click seating plan to see full size version. Trafalgar Studios is London’s most exciting new venue. Formerly The Whitehall Theatre until 2004, is a West End theatre in Whitehall, near Trafalgar Square, in the City of Westminster, London. It is a unique development with two intimate, flexible and dynamic performance spaces – Studio 1 and Studio 2. 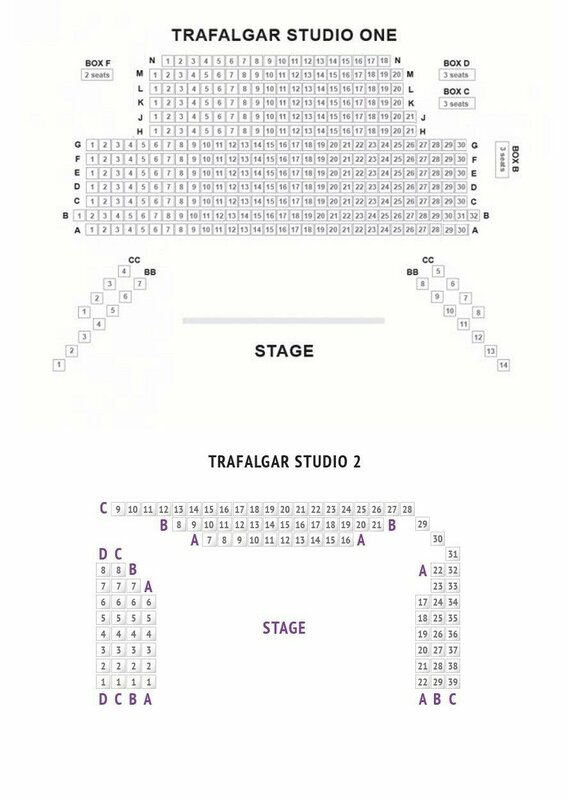 Trafalgar Studios prides itself as a starting place for new productions to find their home in London.